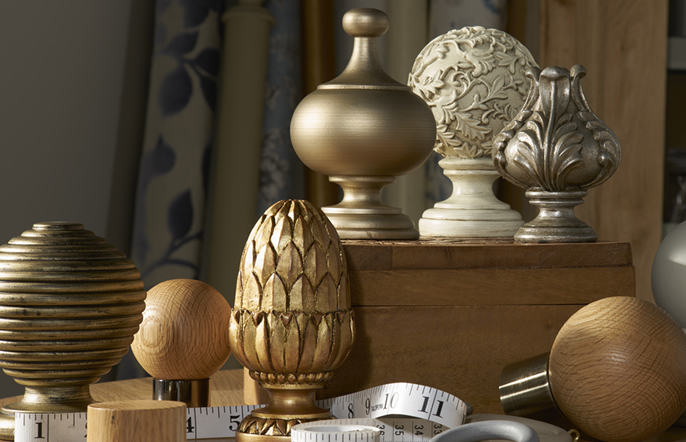 To complement your poles, wood or metal we have a large range of finials to finish off the look. Together with your pole it can become the perfect finish to your room rather than just a means to hang curtains. Choose the pole, then finial, and final size, its as simple as that.